Many of our physical books and DVDs can be easily checked out by visiting the main desk. DVDs can be checked out for 3 days, and most books can be checked out for 2 weeks. 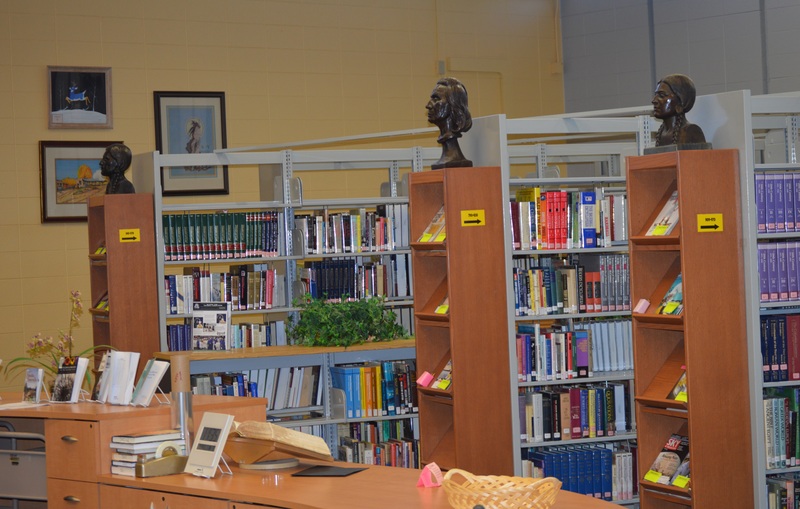 Books marked with blue labels are limited to 1 week, and those marked with red labels or marked “Reference” are only available for use within the Learning Commons. Books may be renewed up to two times, as long as there is no waiting list. We have a large collection of online videos that are available, and all of these materials can be viewed in our catalog. Click on the link below to get started.